Pelmen hates being a tanner, but that’s all he would ever be, thanks to the rigid caste system amongst his people, the hevelens. Then he meets Master Galn Boisencroix and his family. The master carpenter opens up the world of archery to young Pelmen, who excels at his new-found skill. But Pelmen’s intractable father would have none of it, and tries to force Pelmen to stay in the tannery. I loved this book and I’m eagerly waiting to read all the books in this series. 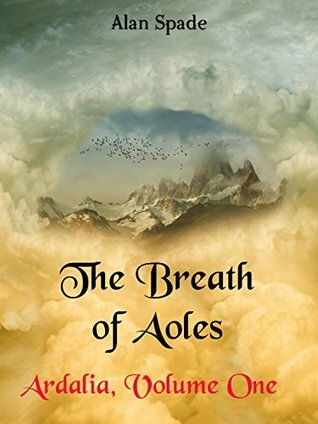 Breath Of Aoles has a lot of things in store for a fantasy-lover. A great adventurous journey, an intelligent and receptive lead character with a great sense of moral, faithful companions, bizarre animals and beasts and numerous magical elements. This book has a a great narrative and a really strong storyline which makes you believe in it and fall in love with it. Pelmen is a brilliant character, that eventually grows on you, and you start to accept and respect his view of the world he lives in. You will feel the connection between you and Pelmen getting stronger with each chapter. I absolutely loved Pelmen and was able to feel his emotions very-well. At times some of the names seem strange to pronounce, but that really doesn’t affect the overall magical effect of the book. I liked Xuven and Fekkar also, and was able to connect with them easily. All other people and beings introduced, were also quite fascinating. I’ll be cutting back on half a star because of above said difficult pronunciations and some grammatical and spelling mistakes. Highlights: Strong and well-developed characterisation. Final Thoughts: A must read. Heena, I am a saying hi fantasy. Thanks for calling attention to this read. May I borrow the other stuff topics for my book reviews? I will give you credit. Sure! With the proper credits it won’t be an issue. I’m saying hi fantasy? That’s what my Southern accent that interferes with my dictation on my iPhone. I really should edit before send. What I said was, I,m a fan of fantasy. Hahah, that’s what I was wondering! And as you are a fan of fantasy, you’ll definitely enjoy this book.